Ring News 24Boxing News Breaking Boxing NewsFight Preview: A disappointing opponent for Josh Taylor? 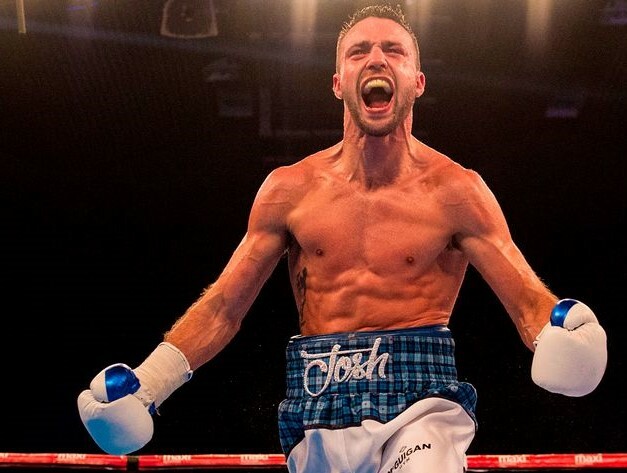 Fight Preview: A disappointing opponent for Josh Taylor? Josh Taylor returns to the ring on March 3 and Mexican veteran Humberto Soto will provide the opposition. Headlining in the SSE Hydro, Taylor is now 11-0 and staking a claim as a genuine world title contender as he leaves prospect status behind. Despite the excitement that is gathering at a rapid pace around Taylor, Soto is, to be perfectly honest, a fairly underwhelming opponent. Especially after Taylor’s impressive stoppage of Miguel Vazquez in November, 2017 that made it appear like he would move on to fight current European champion Anthony Yigit. Apparently that was never the plan, which makes it slightly strange that Yigit fought on the same Channel 5 platform that Taylor has been groomed on by his management and promotional team of the McGuigans. Yigit’s headliner against Joe Hughes made it look like he was next in line for the Edinburgh southpaw who has extinguished 10 of his 11 foes thus far. The only man to take Taylor the distance so far (eight rounds in this case) is Alfonso Olvera. I was at that fight and Olvera was a game opponent and perfect for that stage of Taylor’s career development. One fight after getting past Olvera, Taylor forcibly ended his grudge match with motormouth Ohara Davies in emphatic fashion. I would venture that not since Marcos Maidana humbled Adrien Broner has the wider fight fraternity revelled in this satisfactory defeat. Ohara’s then-promoter Eddie Hearn -who has since publicly tired of Davies’ antic despite helping to fashion his anti-hero image- sat glumly at ringside that evening watching his charge get outboxed, broken down and eventually stopped. After extinguishing former world champion Vazquez and nudging his way into the ranking bodies’ consciousness (#5 with the WBC and #10 with the IBF) now is the time for Taylor to push on and make some noise at the top level. I have no doubt that the ‘Tartan Tornado’ can mature into a world class level talent and maybe Soto has enough mileage left to mess him about for a few rounds but generally this is an underwhelming choice of opponent. Soto is now 37, sporting a 66-9-2 record and far removed from the fighter who once held the WBC super-featherweight title in 2008/09 and the same organisation’s lightweight strap in 2010. Those were Soto’s peak years and he has been dangerous but declining ever since. In 2015 Soto had his last meaningful scrap when taking 22-0 prospect Antonio Orozco the distance, so perhaps he still has some of the ring craft and guile left to show Taylor a few tricks and lessons that he will need to know when mixing with the 140-pound division’s elite operators. Soto has always been a face-first fighter who likes to rumble forward in straight lines and pressure his opponents. He does have some good names and wins on the record though. Guys like David Diaz, Jesus Chavez, Rocky Juarez and Gamaliel Diaz have all fallen by various methods to ‘La Zorrita’ (translated as ‘The Crafty Little Fox’). My overriding memory of Soto is in 2007 when he fought 27-0 Joan Guzman for the WBO super-featherweight title and was taken to school. I was always a massive fan of Guzman; talk about a wasted talent, the Dominican seemed to have it all. Digression aside, Soto was dominated that night and Josh Taylor has the speed, freshness and power to implement a similar strategy to neutralise and vaporise the ageing former champion.